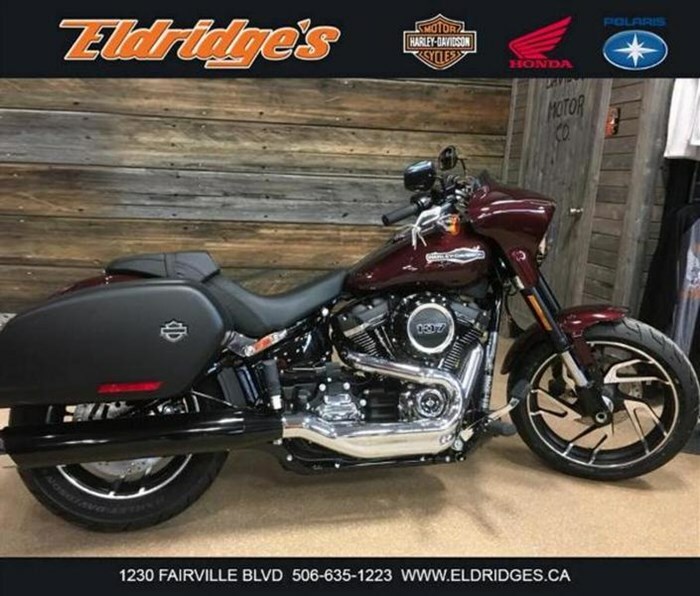 2018 Harley-Davidson Softail Sport Glide Priced at $19,949.00 +tax & fees WAS $22,749... SAVINGS OF $2800 Call Steve or Matt at 506-635-1223 Devour endless highways. Lean hard through twisting roads. Hit the night spots. See all there is to see. Hell, turn your daily commute into an adventure. 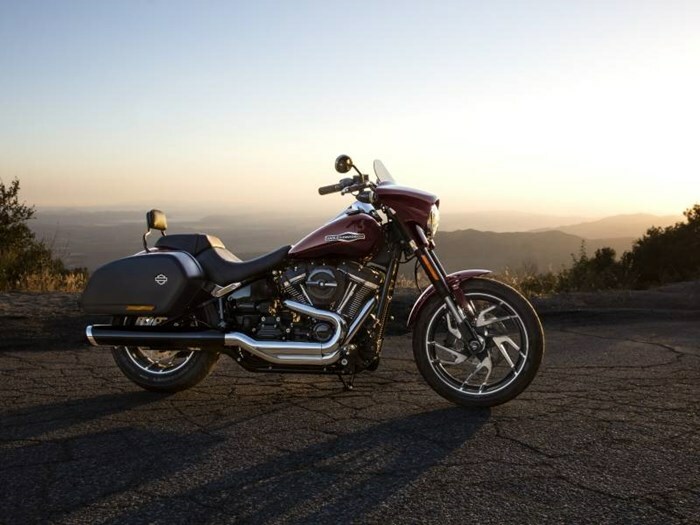 The all-new Sport Glide™ will take all your wanderings to a higher level. 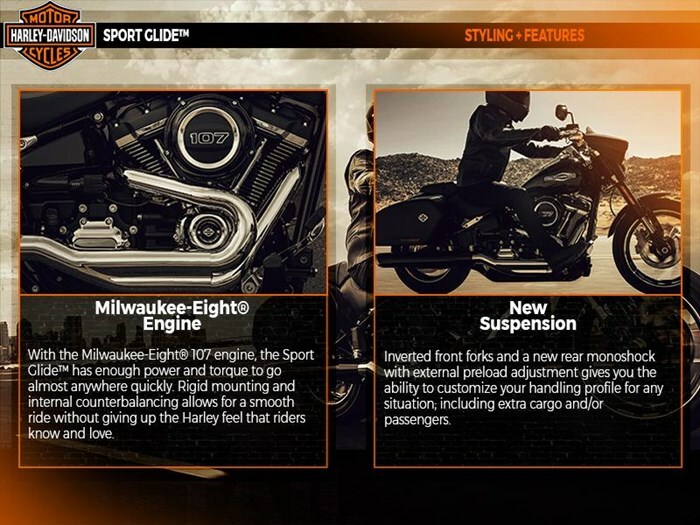 Standard Features Styling + Features MILWAUKEE-EIGHT ENGINE: With the Milwaulkee-Eight 107 engine, the Sport Glide has enough power and torque to go almost anywhere quickly. Rigid mounting and internal counterbalancing allows for a smooth ride without giving up the Harley feel that riders know and love. NEW SUSPENSION: Inverted front forks and a new rear monoshock with external preload adjustment gives you the ability to customize your handling profile for any situation; including extra cargo and/or passengers. ALL-NEW SOFTAIL FRAME: The Sport Glide motorcycle rides on the completely redesigned Softail frame which makes for a lightweight, nimble ride you have to feel to believe. 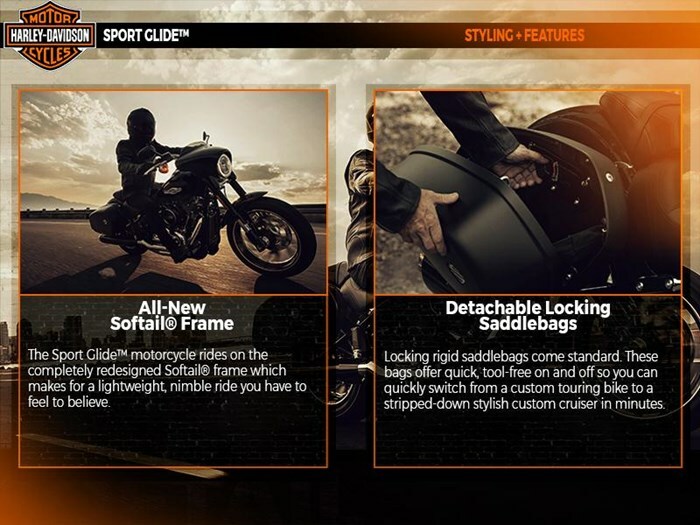 DETACHABLE LOCKING SADDLEBAGS: Locking rigid saddlebags come standard. These bags offer quick, tool-free on and off so you can quickly switch from a custom touring bike to a stripped-down stylish custom cruiser in minutes. FRONT MINI-FAIRING: The quick detach front mini-fairing allows for an attitude change on the fly. Put it on fore more comfort on a long ride, or remove it for the stripped-down cruiser style. It'll take the wind off the rider's chest while allowing the air in your face. 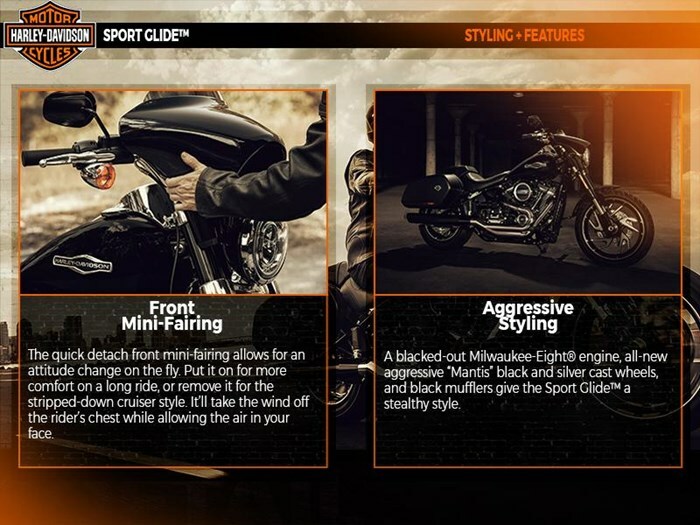 AGGRESSIVE STYLING: A blacked-out Milwaukee-Eight engine, all-new aggressive "Mantis" black and silver cast wheels, and black mufflers give the Sport Glide a stealthy style. 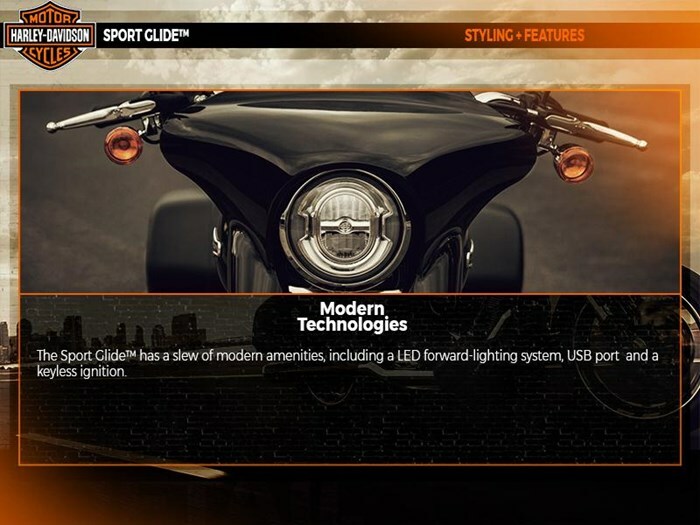 MODERN TECHNOLOGIES: The Sport Glide has a slew of modern amenities, including a LED forward-lighting system, USB port and a keyless ignition.